A suspected rhino poacher in Kruger National Park has allegedly been killed by an elephant and eaten by lions, leaving behind nothing but a skull and a pair of pants. Park rangers quickly began a search for the man both on foot and by air, but initially failed to find anything due to failing light. His remains, which included his skull and a pair of trousers were eventually recovered on April 4. Glenn Phillips, managing executive of the park, issued his condolences to the deceased's family. Photos of remnants of a rhino poacher's clothing left at the scene where he was believed to have been trampled by an elephant and eaten by lions have been exposed. Four other poachers who fled the game reserve in South Africa in terror were picked up by police and explained how a member of their gang had been killed. A team from the preserve found the body on Thursday morning. The man's family alerted Don English, the Skukuza regional ranger, after the surviving poachers told them what had happened. This area, according to Kruger National Park website, is a popular destination for lions. Police seized two.375 hunting rifles and ammunition from the men. The unnamed man was working in a group, who informed the victim's family of his death. A suspected poacher, who police say entered South Africa's Kruger National Park illegally, suffered a gruesome demise. The three men were remanded in custody and will appear in court again on April 12, "pending a formal bail application". The men have been charged with possessing firearms and ammunition without a license, conspiracy to poach, and trespassing, Times Live Reported. 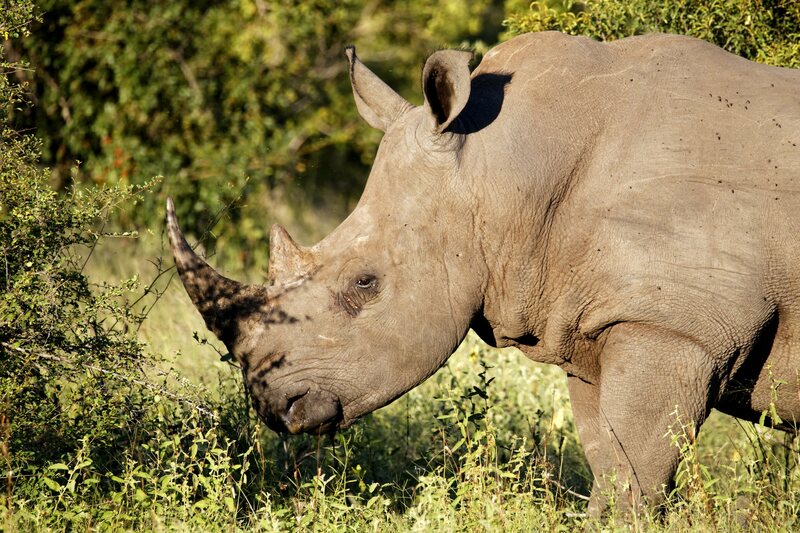 More than 360 alleged rhino poachers and 36 alleged rhino horn traffickers were arrested nationwide past year. Conservation efforts have increased their existence, and there are now about 5,000 black rhinos in the world, living predominantly in South Africa, Namibia, Kenya, and Zimbabwe.